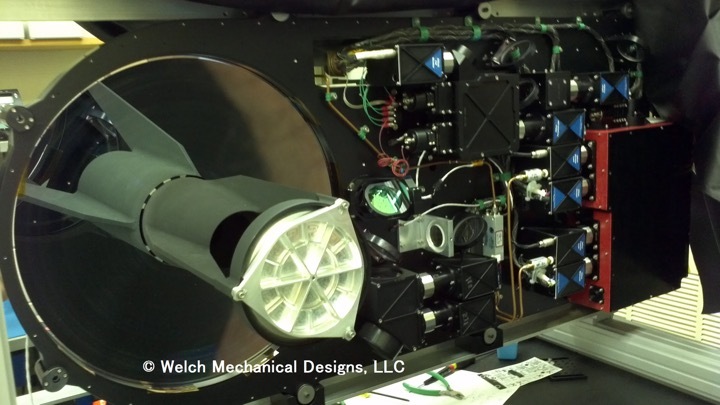 The High Spectral Resolution LiDAR II (HSRL2) instrument is the next generation of the HSRL instrument. 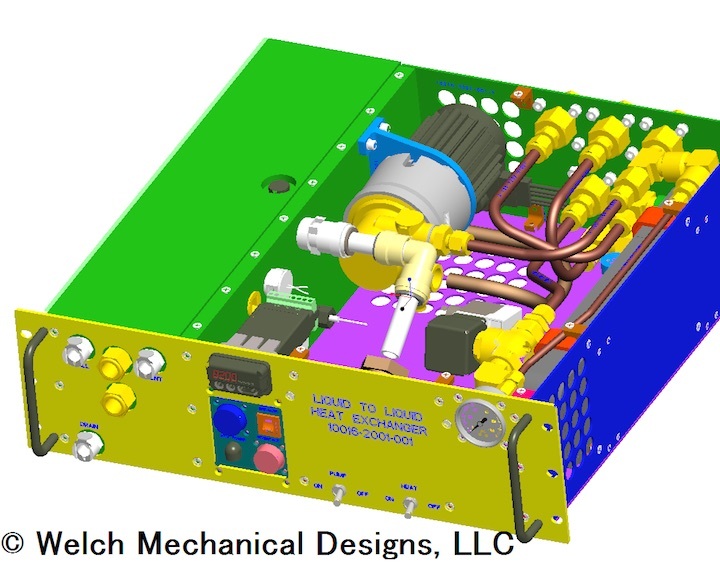 It combines all the capabilities of HSRL with the capabilities of Differential Absorption LiDAR (DIAL), providing multi-wavelength readings of aerosol and cloud aerosol properties in addition to ozone profiles. 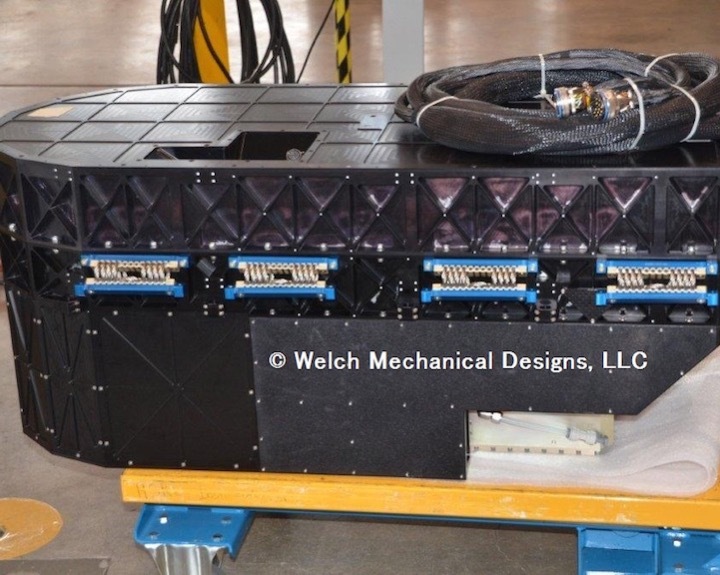 HSRL2 is deployed in NASA's ER-2 high altitude research aircraft. It also flies on the LaRC King Air aircraft. 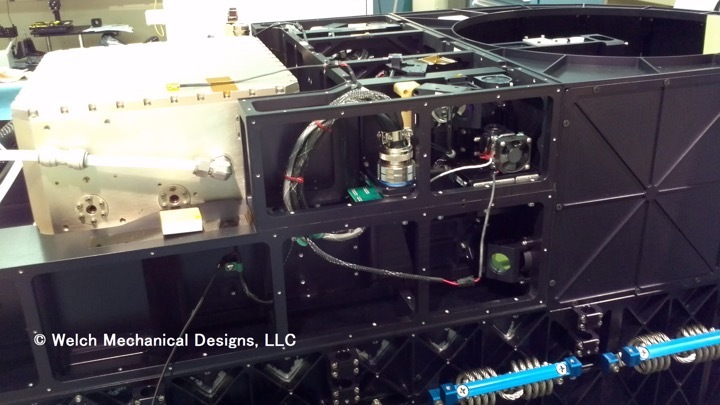 The HSRL2 system includes a laser transmitter, an internally mounted WMD-designed 16-inch (40.6-cm) telescope, and a WMD-designed receiver. The transmitter is composed of a NASA provided laser, a WMD-designed non-linear optics module, numerous custom optic mounts and beam expanders and a unique periscope design, all housed in a lightweight frame. The receiver module is a dual-sided optic breadboard outfitted with IR sensors, UV sensors and a Michelson interferometer. The transmitter sends out beams on four separate wavelengths then the return light is collected and collimated by the telescope, which transmits the light to the receiver. 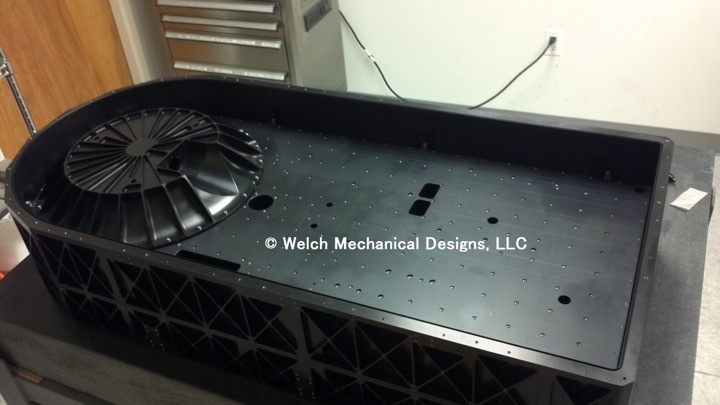 All these components are mounted in an environmentally sealed housing that is 21 inches (53.3 cm) X 44.2 inches (112.3 cm) X 18.5 inches (47 cm). 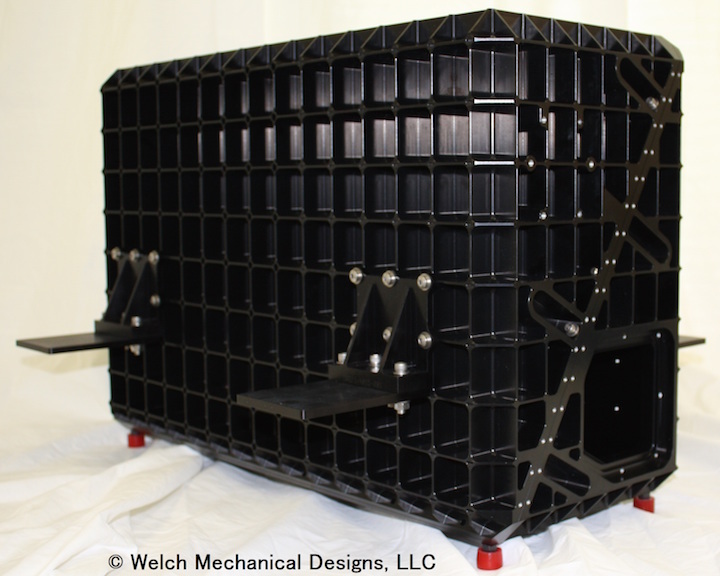 This housing has wire rope isolators mounted on the exterior that are used for securing the instrument inside the HSRL2 Environmental Enclosure. 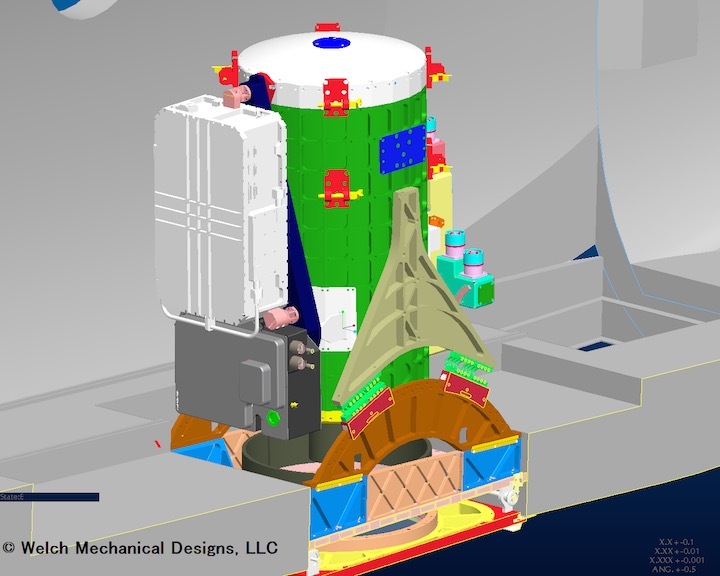 Packaging the large number of components of HSRL2 into the space available in the ER-2 proved to be a significant challenge. 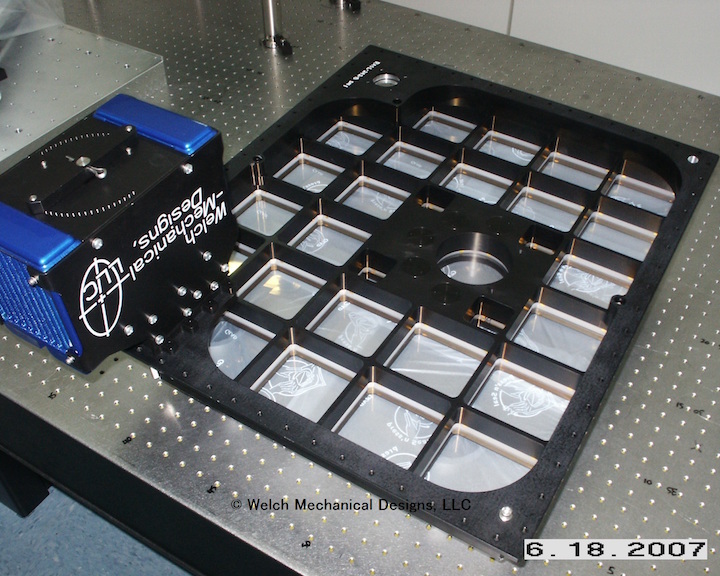 To create a successful design, WMD utilized a unique two-piece, lightweight, dual-sided optical breadboard that supports both the telescope and the receiver optical modules, as well as a unique transmitter design that wraps around the laser and NLO systems and contains several vertical precision "breadboards" that hold the various beam expanders and optics required by the laser. These precision transmitter breadboards are designed to be removed, replaced and registered to within single microns in three dimensions for position. 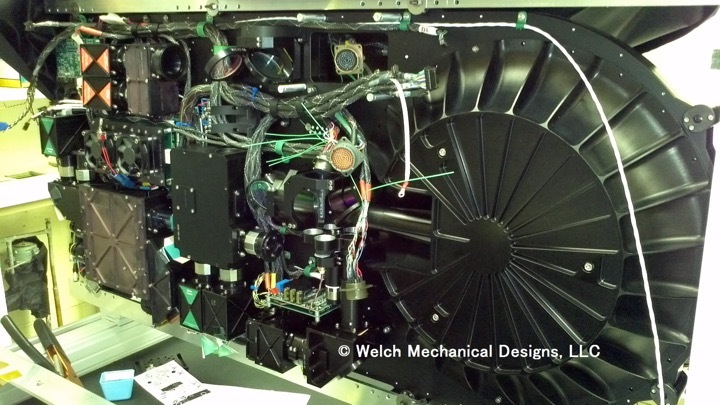 All of the modules have panels that are easily removed for access to the interior components. Since the instrument was to be deployed in an aircraft, weight was also an issue. WMD employed extensive pocketing and light-weighting techniques to keep the instrument as light as possible while maintaining structural stability.